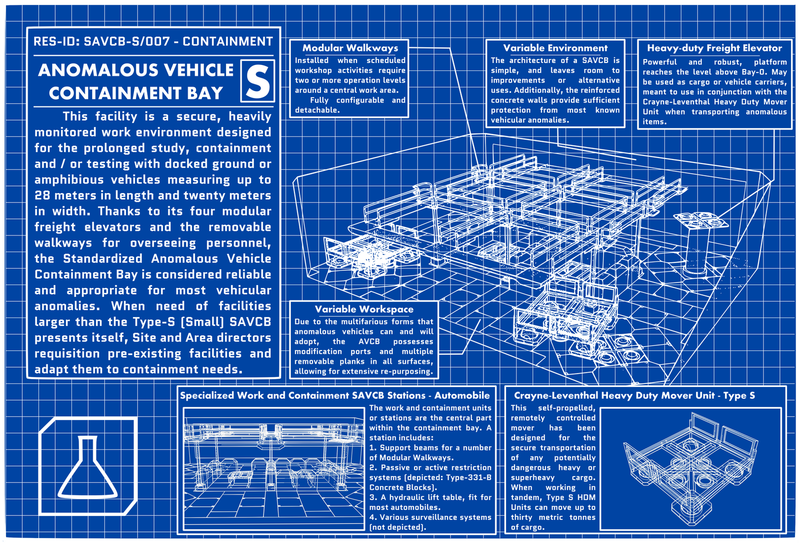 This is meant to be a hub for all the blueprints created as fanwork of both SCP articles and relatively novel takes on popular Foundation fiction concepts, such as the Humanoid Containment Cell or the Secure Item Locker. 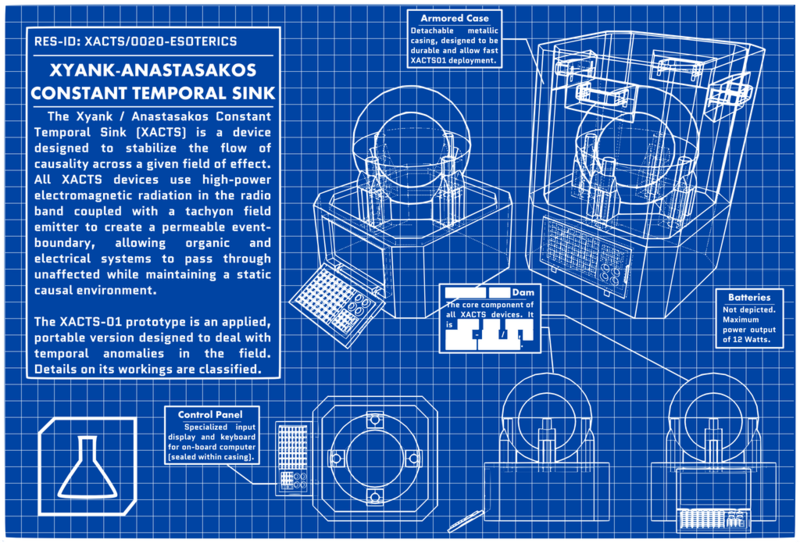 If you want to add to this list and/or would like to request a piece of fictional technology written into an SCP article, tale or mere background flavor text, contact Dr Reach or leave a message in the discussion of this page or in the original Foundation Mock-up Blueprints thread. Any additions and suggestions will be welcome! Go to SCP-1946 and SCP-2445! -- Suggested by Photosynthetic and Kaktus! 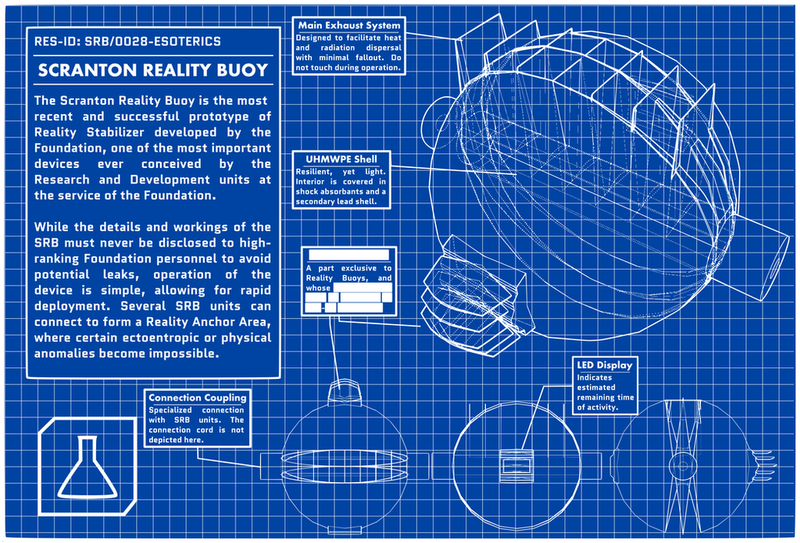 This is what I imagine the Foundation would use in those Sites and Areas with a non-trivial proportion of Safe and Anomalous items, like, say, Reliquary Sites; also, a good way to keep sensitive information less than accessible. 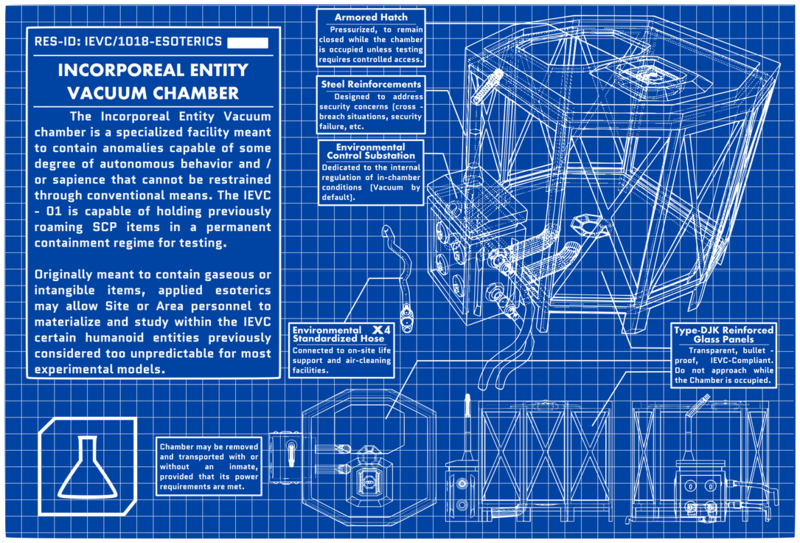 Somewhat modified (the original Incubator was meant for alien lifeforms… but if it can need an incubator, why not use the same incubator model we would use for anomalous babbees? ), but definitely inspired by Tagliafierro's creation. 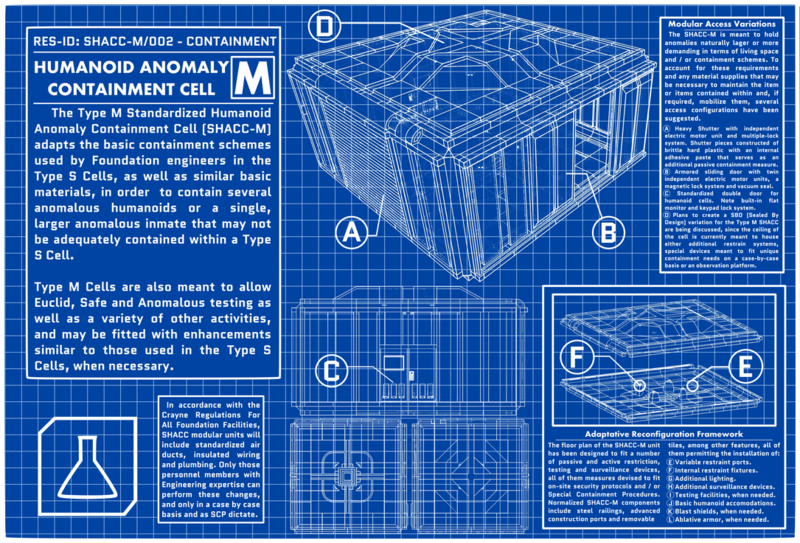 I was gonna search for the different ways the terms "standard containment cell" could fit the item itself, but… well. 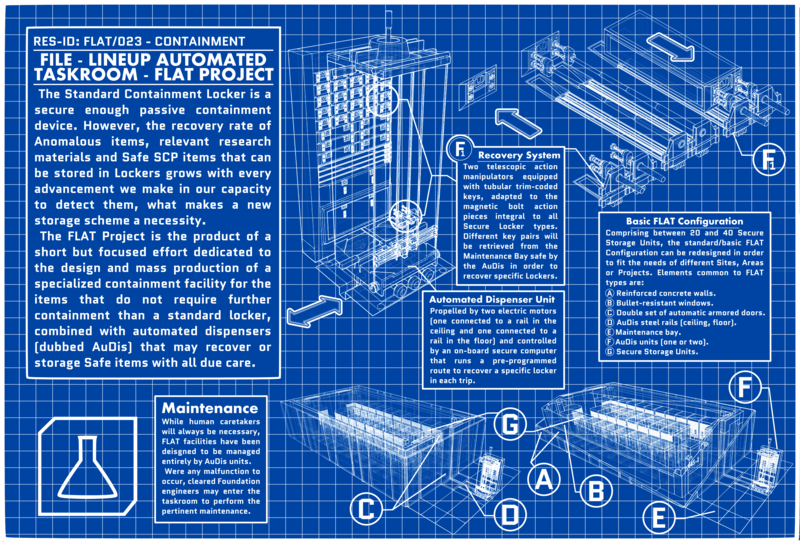 You don't really want me to link every SCP with a standard humanoid containment cell, do you! Go to SCP-1119! 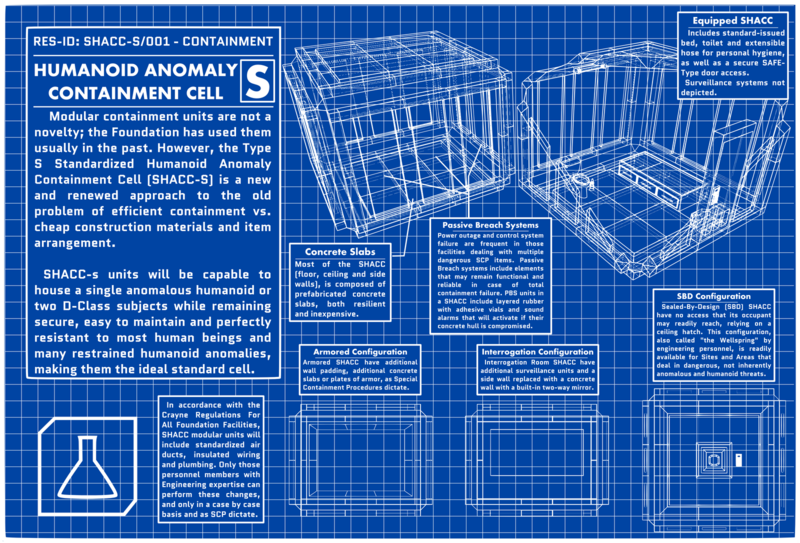 And to any SCP that may require a larger cell than "small" or "standard" humanoid containment, which are probably beyond count anyways. -- Prepping for bigger things! I suppose it is obvious at this point, but the AID&SS was created specifically to retrofit both model and design with the DAESS (see below). Will be adapting it again for further cool applications of other examples of Foundation technologies involving rapid dispersal of air-born agents. For the time being, just be warned that this is A Thing That Has Happened. For whenever your run-of-the-mill security and / or containment measures just don't cut it and you simply need everything in the room to BURN!! and EXPLODE!! simultaneously. Go to SCP-1451 and SCP-2000! -- Suggested by various users in chat! 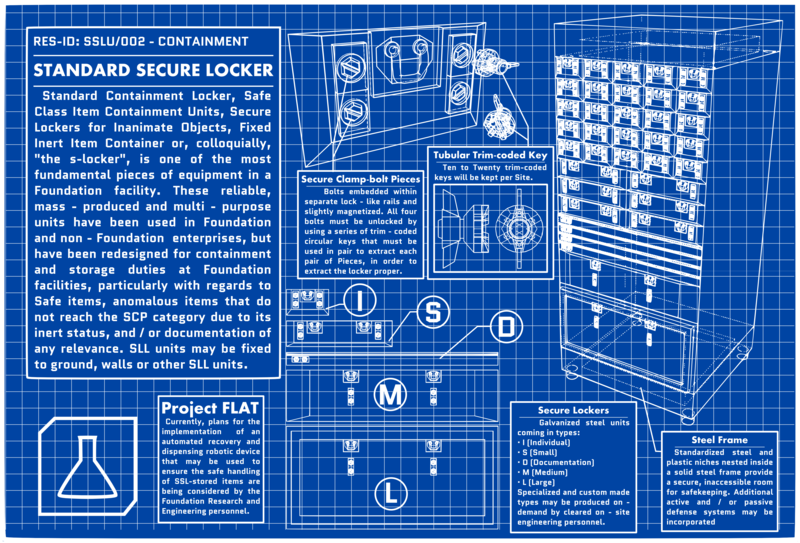 If I have to link you to every single time a Locker has been used in a SCP article, we'll never be done with this. 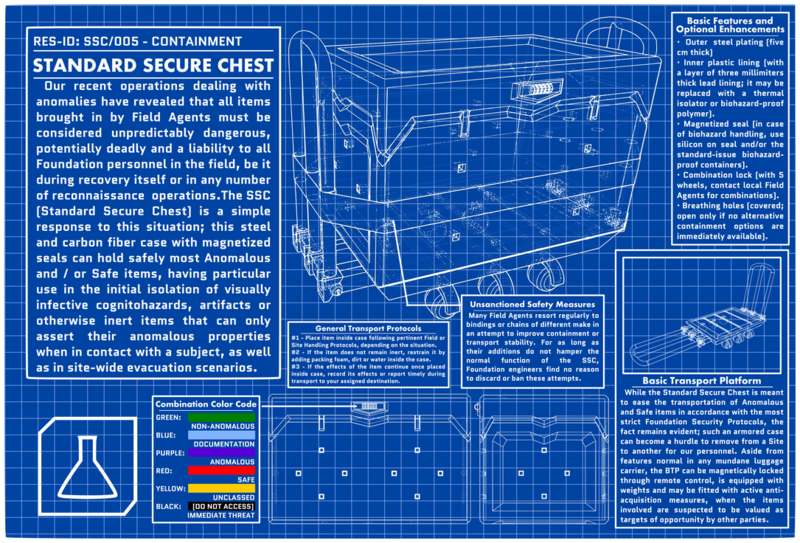 What, did you think the Foundation would carry Safe and Anomalous items by hand whenever they have to evacuate a Site? 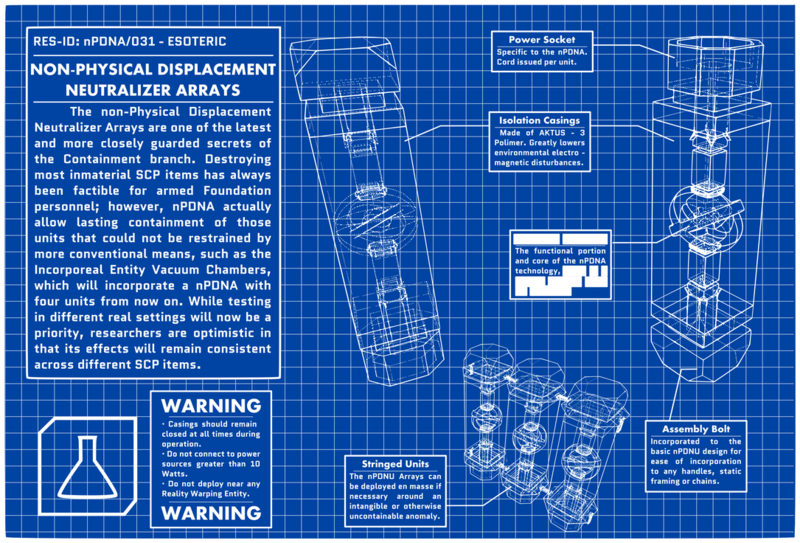 While this is a simpler, portable version of the items we know and love from SCP-2000, it can represent what the time sinks could actually look like if handled by the RCT-Δt or their agents. 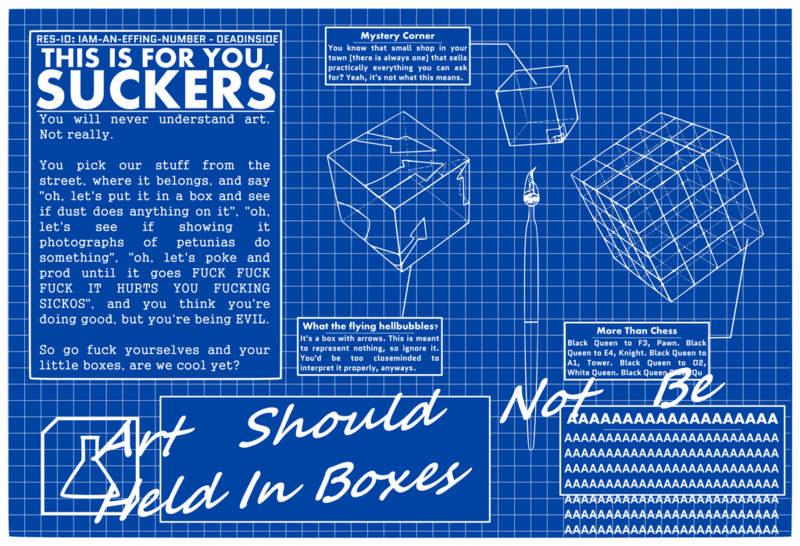 This blueprint is a liberal interpretation of the article proper made for the Third Art Exchange of 2014, but Roget seemed to like it, so I guess posting it here is kosher. -- Created by Von Pincier! 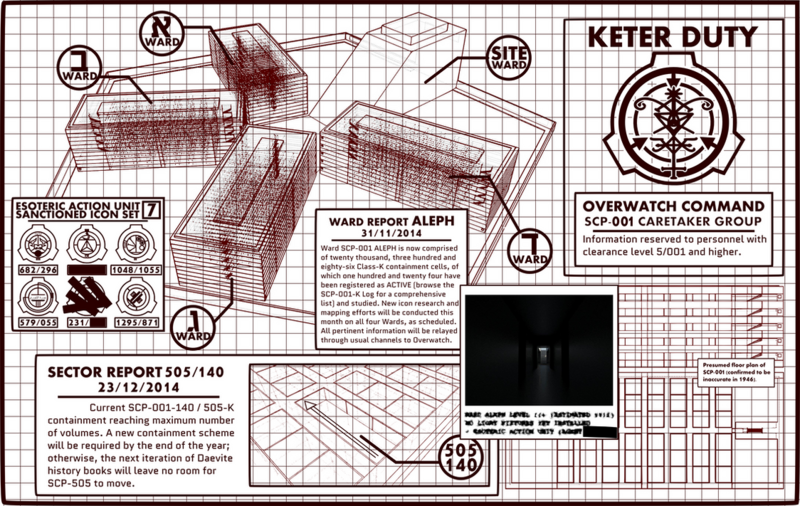 The general mapping plans of SCP-2722. 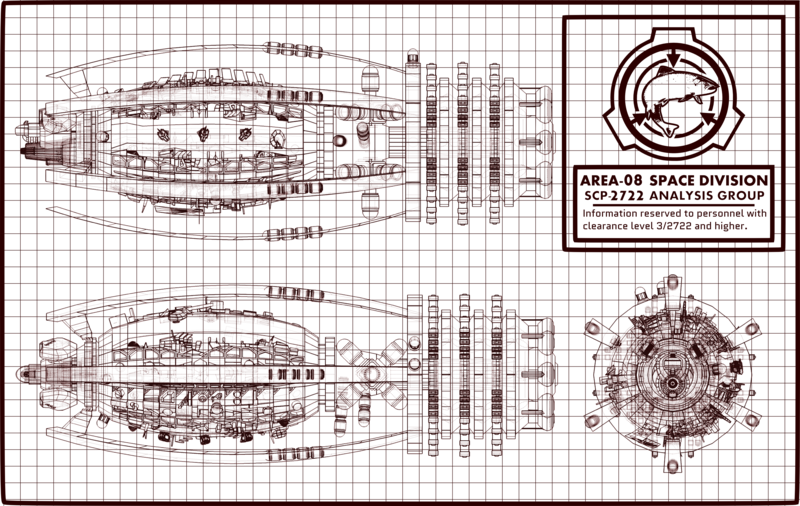 I might add module plans eventually, but I've already dedicated far too much time to it; this project took me far too long, but I'm very happy with the result. The rest will have to wait. 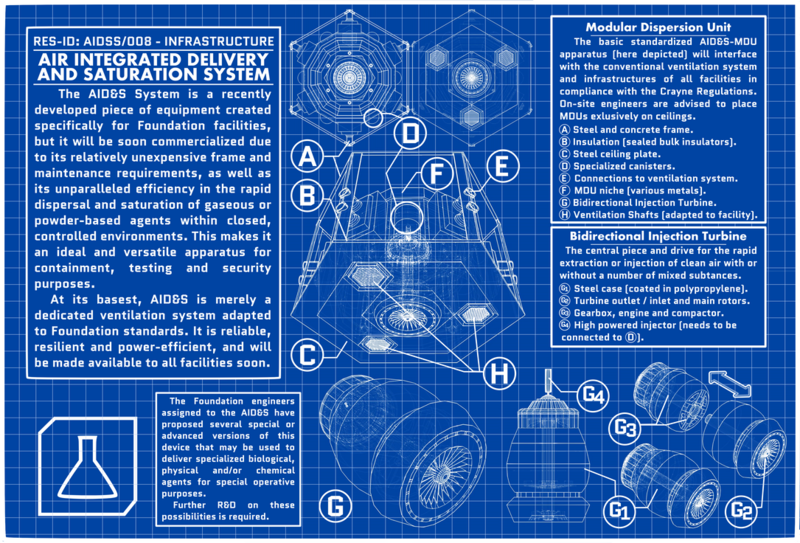 Additionally, the reference to Area-08 as a Foundation dedicated space center puts a smile in my face. The salmon logo is a separate reference to the fact that Area-08 is placed in the Mid-Atlantic, but that's a story for a different time. Thanks to everyone on chat for their feedback on this piece. -- Created by Randomini, duh. Not that it's entirely relevant in this case or in any case, since Randomini's tales are known to everybody… but in case you have somehow NOT read them yet, make a wiser use of your time and go to the Cool War Hub first.